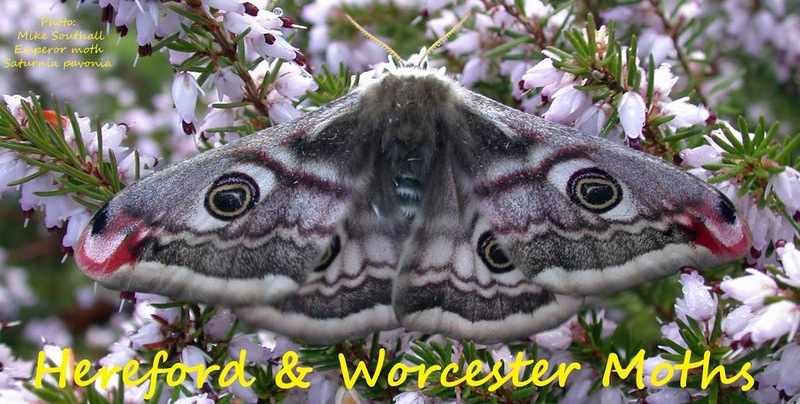 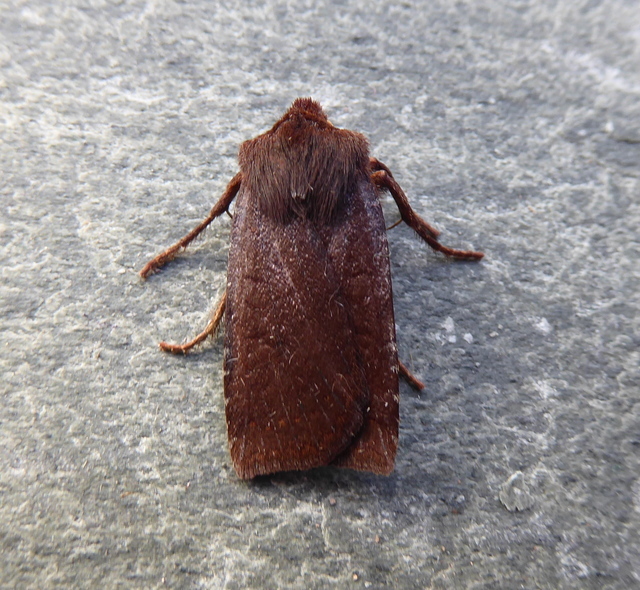 Can't compete with Mike's tropical selection but a few nice moths as the garden cooled down this week. 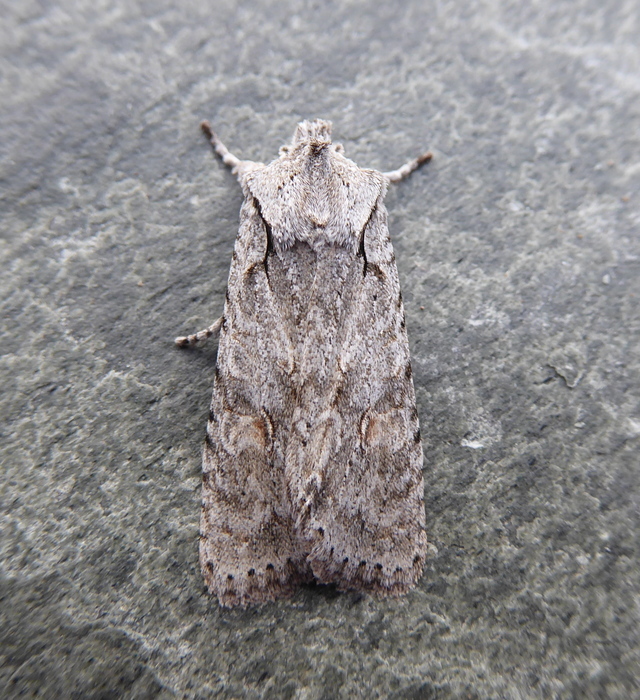 A Grey Shoulder-knot and Red-lined Quaker needed a ladder to pot them off the back house wall. 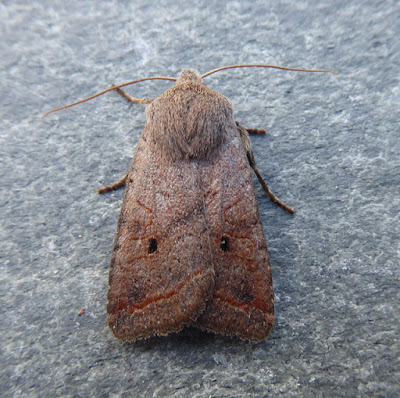 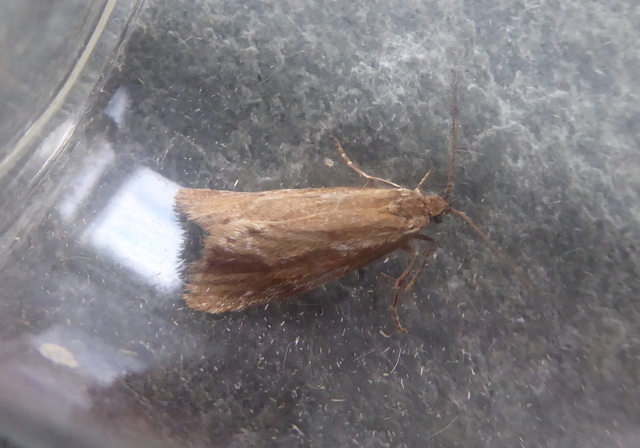 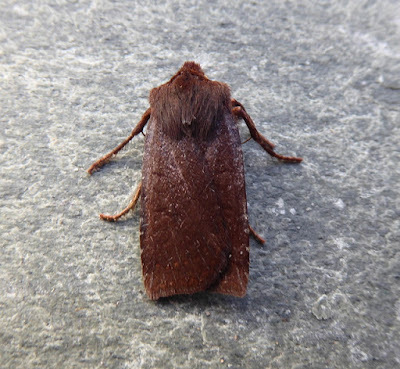 Tried the actinic on Thursday and was rewarded with a superb Dark Chestnut. 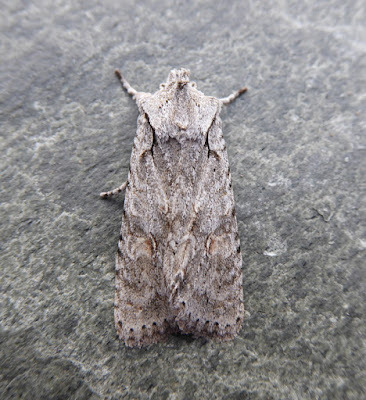 Last night a bit of a puzzler - a rather plain and triangular moth with subtle angles and patterned Diurnea lipsiella, following singles here on the 30th October 2011 and 2015.